Ronewa Art Projects is pleased to announce the opening of an exhibition of prints and installations by young contemporary Swiss artist Tashi Brauen. The show of some dozen works by the artist, known for his manipulations of paper to create formalist and intriguing sculptural forms, includes two new site-specific installations created especially for Ronewa’s Berlin Project space. The Zurich-based artist, spent a week on location creating museum-scale wall pieces that are boldly painted in highly saturated primary colors with enamel paint on paper. Titled Reliefs Nos. 3 and 4, these works command their spaces and envelop the viewer's field of vision. Creases and folds of the subtly shaped and hung works create animated surfaces and contours - the artist’s use of paper becomes highly sculptural and monumental. In addition to these site-specific works, Brauen's Figurations are shown in the exhibit. These mid-sized more intimate works take their inspiration from the artist's painted paper constructions and are no less imposing. 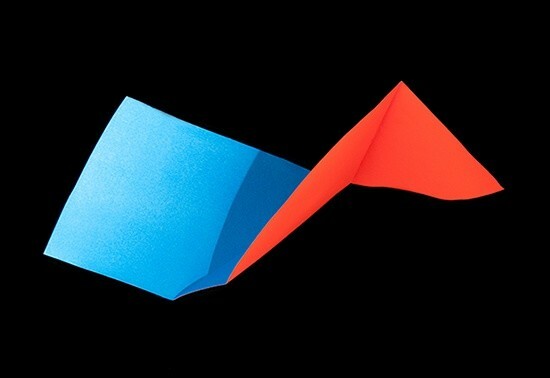 In these artworks, painted and folded paper is again the source material. 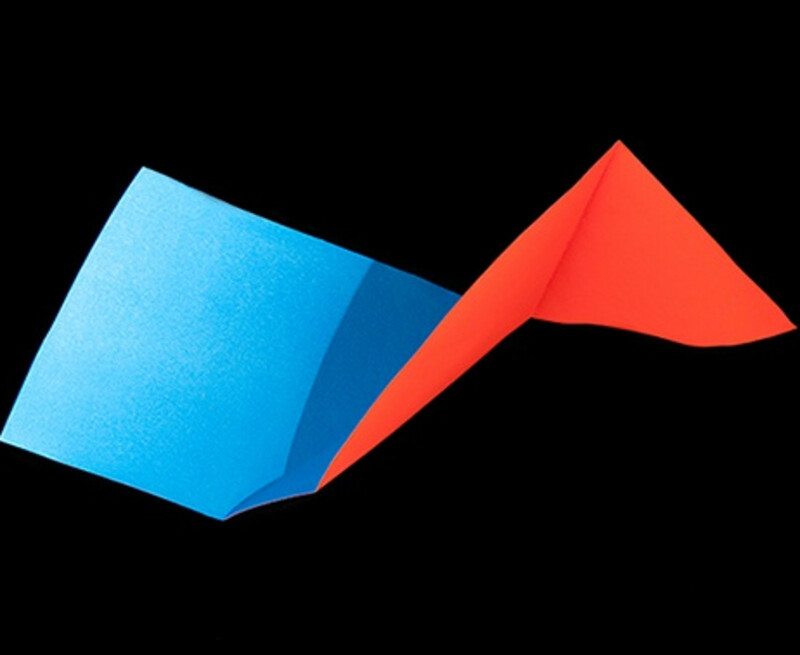 Whereas in Reliefs the original paper construction is shown, Figurations are subtle photographs of the elegant and artfully folded paper forms that appear to float, fly or even “dance” in the air as the artist himself states. The prints are on archival Hahnemühle Baryta paper in limited editions of five. In these highly contemporary prints, Brauen has created images combining both, the traditional physical act of painting, and the art of arranging his media and capturing it with technical and photographic expertise. Tashi Brauen was born in 1980, and lives and works in Zurich. His artwork has been shown in galleries and museums in Switzerland, France, Thailand and the United States, including the Museum of Fine Art Bern, Fabrique culture Hégenheim/F, Stadtgalerie Bern, Centre Pasquart Biel, Museum Bärengasse Zürich, Union gallery in New York and Serindia Gallery in Bangkok. He is also co-founder with curator Angelo Romano of Counter Space, in Zurich, an independent exhibition and project space with the mission to present work that explores the use of temporary and process-based methods of art making with an emphasis on experimentation and contemporary discourse. Bending Forms will be on view at the gallery through Saturday, June 10, 2017. Ronewa Art Projects is located at Friedrichstraße 171, 10117, Berlin, Germany.